Season Twelve for Detroit Roller Derby is now underway and more hard hitting action is headed your way. The undefeated Grand Prix Madonnas will face off against the Devils Night Dames at the Masonic Temple on Saturday, January 14th. Both teams have put in long hours training for this showdown. The skaters will be surrounded by super heroes or at least fans dressed up as one. The theme for the game is heroes versus villains. They'll be neat back drops so that you can take pictures of your costume and share it on social media. An award will also be handed out to the best outfit of the night so dust off your cape and get to the drill hall. Detroit's own Five Pound Snap is taking time out of their hectic schedule to perform live at the game. They are described as a four piece space groove band and are known for putting on quite the show. Doors for the January 14th single header bout open at 5pm. The whistle will blow at 6pm. Tickets are now available at www.brownpapertickets.com. They are $12 in advance and $15 at the door the day of the game. Children 12 and under get in free with a paying adult. The Masonic Temple is located at 500 Temple Street in Detroit. It is the largest building of its kind in the entire world. Hundreds of Detroit Roller Derby fans braved the icy roads on Saturday to see some cool competition at the Masonic Temple. The D-Funk Allstars faced off against the undefeated Detroit Pistoffs for the first time this season. It was tight for much of the game with lots of hard hits and fancy maneuvers on the track. Both teams truly gave it their all but in the end, D-Funks jammers out scored the Pistoffs 281 to 164. Congratulations to Perish Her of the D-Funk Allstars who was voted MVP of the game. Also, a big thanks to the TechShop in Allen Park which created the trophy for DRD's first ever ugly sweater contest and to Santa himself for mingling and mugging with the crowd. their families. Our fans are the best! If you weren't able to make it to the Masonic Temple for Saturday's game don't worry the Devils Night Dames will take on the Grand Prix Madonnas on January 14th. Tickets are available at Brown Paper Tickets. You can also find a complete schedule at www.detroitrollerderby.com. And don't forget to follow us on Facebook, Snapchat and Instagram. Our December 17th Game will be a Winter Wonderland! Just in time for the holidays, the drill hall inside the Masonic Temple will be transformed into a winter wonderland for the latest Detroit Roller Derby match-up. Season 12 is underway and has already provided some hard hitting action and back and forth lead changes. You can expect more when the undefeated Detroit Pistoffs take on D-Funk on Saturday, December 17th. Come out and cheer our skaters on! Santa Claus will be mingling with fans throughout the single header game. At half time, he will also lead an ugly sweater contest. The most outrageous outfit will receive a special trophy created by our friends at the TechShop in Allen Park. You don't want to miss this! And there's more ways to get into the holiday spirit. Detroit Roller Derby will be helping to make the season brighter for our dedicated troops during the December bout. We will be teaming up with Operation Care Package Michigan once again to collect supplies that will be sent to them. People can drop off non perishable items like beef jerky, hard candy, and crackers. Donations of baby wipes, chapstick and bug spray will also be greatly appreciated by the men and women currently serving. Collection boxes will be set up outside of the drill hall on the third floor of the Masonic Temple. Doors open at 5:00pm on Saturday, December 17th. The game will begin at 6:00pm. Tickets are now available at www.brownpapertickets.com. They are $12 if purchased in advance and $15 the day of the bout. Listen to Detroit Roller Derby Skaters on The Detroit Comeback Show! Robin of Knocksley, Kelly Genei, and Sarah Hipel went on The Detroit Comeback and gave an interview. Listen to them by clicking below! It was an exciting start to the 2016-2017 Detroit Roller Derby season this past weekend at the Masonic Temple. All four newly drafted home teams took part in the double header. Fans got to see where their favorite players ended up. The Detroit Pistoffs and the Devil's Night Dames faced off in the first game of the night and proved why roller derby is one of the fastest growing sports in the world. The match up was full of hard hits and impressive moves on the track. The Pistoffs celebrated their first win of the season with a 343-184 victory over the Dames. The game MVP was Pistoff jammer GiGi Spitfire. It was a back and forth game between the Grand Prix Madonnas and the D-Funk Allstars. The Grand Prix Madonnas were down 42 points at the half but adjusted their game play and came back to win it. The final score was 231-208. The MVP for that game was Grand Prix Madonna jammer Lunachick. A big, heartfelt thank you to everyone who dropped off items for care packages that will soon be delivered to our troops. They will certainly appreciate the kindness and love from home during the upcoming holidays. And a special shout out to Achatz Homemade Pie Co. for supplying the delicious desserts for our pie eating contest. Everyone had a blast! Our next game is set for December 17th. The Detroit Pistoffs will try to keep their winning streak going when they take on the D-Funk Allstars. We've got some exciting things planned, so you do not want to miss this. The bout at the Masonic Temple in Detroit will start at 6:00pm. You can buy tickets in advance at Brown Paper Tickets or at the door on game day. Did you see Detroit Roller Derby skaters Con Yay! and Robin of Knocksley on Fox 2 Detroit today? See Con Yay! and Robin skate November 19th on their team, the Grand Prix Madonnas. Buy tickets at Brown Paper Tickets. We'll see you there! See the full story and video at Fox 2! Some of our fans may have heard rumblings of changes happening with the Detroit Derby Girls. There are, in fact, some pretty big changes that are happening now, with even more in the works. I got a chance to sit down and talk with the league president, Kelly Genei, to get the scoop about what's going on with the teams. We hear there are some exciting new changes in store for the Detroit Derby Girls in the 2016-2017 season. There's a new name and a new mission? Kelly: We are becoming Detroit Roller Derby, a non-profit company as of November, 2016. We were originally Detroit Roller Derby 12 years ago and are excited that our new name can represent all roller derby in Detroit: Men's, Women's, and Juniors. "The mission of Detroit Roller Derby is to be the premier roller derby league in Michigan, offering a fun, exciting, well organized and meaningful sporting experience for fans and league participants, while supporting, educating and developing league participants for national and international competition in the sport of roller derby." What will changing to a non-profit help the league accomplish? Kelly: Becoming a non-profit will first and foremost be better for our sponsors. There is more opportunity for non-profit athletic clubs financially and for partnering with other organizations in our community. Why the addition of Detroit Men's Roller Derby league? Kelly: Our association with them is natural because many of their skaters volunteer/referee already for our organization. It's better for the growth of our sport and the members of both organizations to get together and utilize both of our resources. When can we expect a Junior league to start forming? Kelly: We are hoping to have a solid plan in place by January, 2017, so expect to hear more then! If you are interested or have questions, email jrs@detroitrollerderby.com. What happened to the 5 home teams? Kelly: Our sport is changing and we needed to adapt. With fewer skaters in our league we felt it was important to reduce the number of teams so that we can continue the quality of skating that our fans expect. Since you downsized to 4 teams, are there various teams for different skills and commitment levels? Kelly: Yes, we are encouraging the growth of our Recreational league where skaters can gain experience and learn along with the rest of the league at their own pace and with a lighter commitment requirement. We have also adjusted our All Star team structure since both teams (All Stars and MCDL) have become so competitive and are successful globally and nationally, we made some changes to give them the support they need to continue to be successful. We've combined the A and B teams into a single All Star team of the 30 best skaters in Detroit and have added a C team for skaters to play competitively in Michigan. In addition, we've maintained our Wreckers team which is a fun pick-up team for all skaters of any level within the league. Will there still be opportunities for those interested in roller derby to learn about the sport? 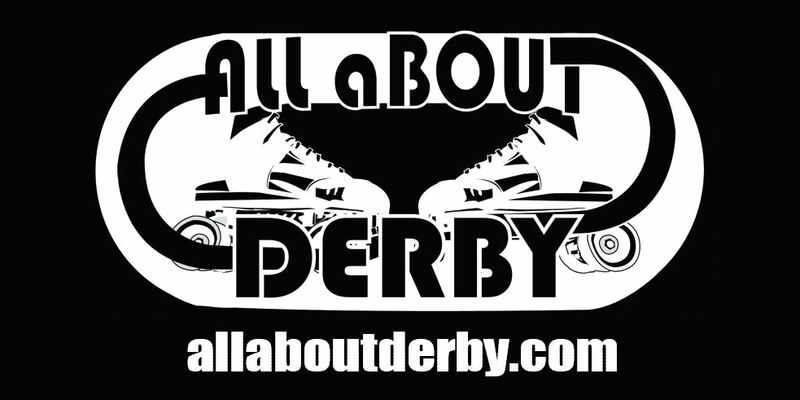 Kelly: If you are interested in skating, start with attending our Derby U session on December 7th at 7:30pm at Canfield Arena. It's an off-skates informational seminar where you learn about the sport and what it takes to be a member of our organization. How can you stay connected with Detroit Roller Derby? Check back to our facebook for updates on the season schedule and other events. Also, you can follow us on twitter, instagram, and snapchat! DRD Skater Sarah Hipel to Represent Canada at the 2017 World Cup! Congrats to Detroit Roller Derby AllStars skater, Sarah Hipel, for making Team Canada/the Canadian National Team for the 2017 Roller Derby World Cup! The Home Opener of the Detroit Roller Derby 2016-17 Season is Saturday, November 19th, 2016 and will be a double header.